Nina and I are low-key planners when it comes to our trips. Just like our California trip to see family, until we arrived, all we had were the tickets and a place to stay. The rest usually comes naturally. And so it did. During a dinner with one of Nina’s cousins, he mentioned that one of his cousins is a vineyard manager at Ridge Vineyards…I did not take notice immediately, but then I saw a Ridge label in a wine store and realized: Wait a second, I have heard of the winery before!! This is not some local hack, this is actually pretty decent California wine royalty. So we pestered cousin 1 to get in touch with his cousin 2 and see what he could do to get us to the winery. I know, I know. I am a sucker for good wine, and I wanted to see whether we could get a decent tasting. And a decent tasting we got. 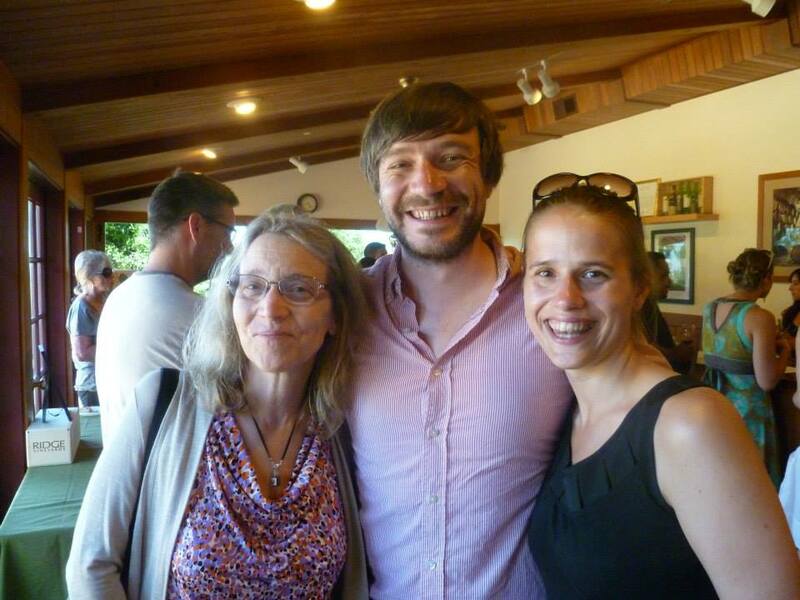 Turned out that the day we were in the region (we were in San Jose, while the winery and tasting room is in Cupertino), they were having a Wine Club exclusive tasting. And that tasting included a vertical of Ridge’s Bucchignani Ranch Carignane. We naturally made ourselves available for this and ended up on the guest list, together with two friends of ours. 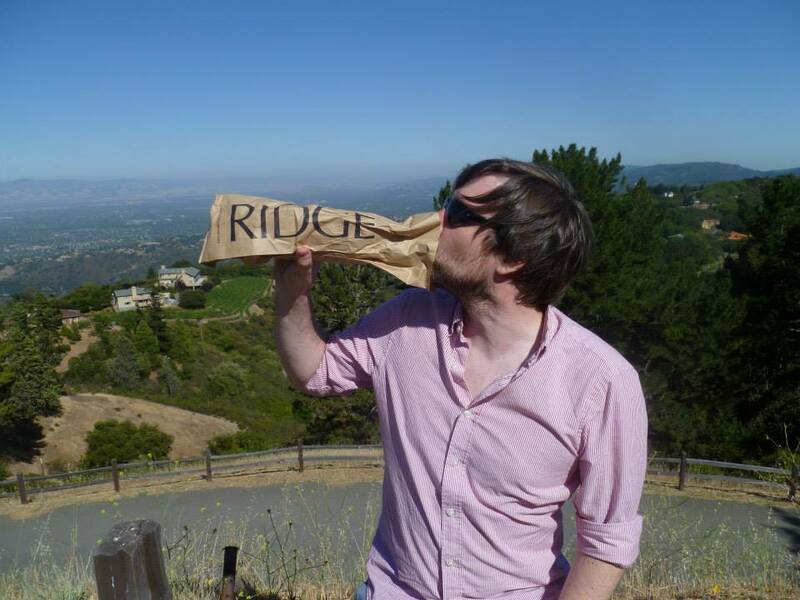 Let me tell you about the winery: Ridge Vineyards was founded in 1962, but its roots go back further. In the 1880s, a doctor bought land in the Monte Bello Ridge, a mountainous slope near Cupertino. These vineyards were later bought by the then owners of Ridge in the 1960s, and Monte Bello is still their flagship vineyard. Apparently, the winery has been owned by a pharmaceutical company since the 1980s (weird!!). It now mostly has holdings in Napa and Sonoma (north of the San Francisco Bay), with Monte Bello still being part of its portfolio. 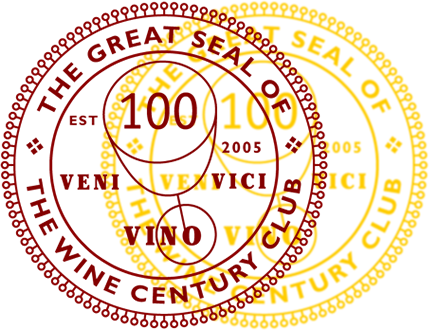 It became famous when during the Judgment of Paris in 1976, a blind tasting in Paris that compared California and Bordeaux reds as well as California and Burgundy chardonnays, it came in fifth with its 1971 Monte Bello, an outstanding achievement (the first wine was a California, then three Bordeuax, then Ridge). In a re-enactment 30 years later, Ridge came in first with its wine!! Let me say this first: I love the bottles for their iconic, simple labels. They’re just really stylish. The drive up to the tasting room is gorgeous in itself. 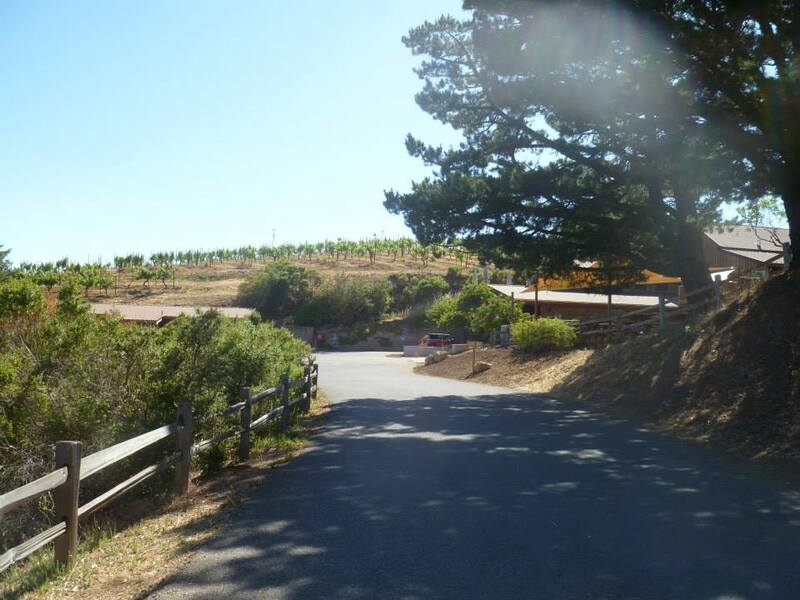 You wind the car up and up and up and then reach the winery, which overlooks Silicon Valley. It’s just spectacular. But off to the vertical. As I indicated, we had a vertical of 2006, 2007, 2008 and 2011 Ridge Bucchignani Ranch Carignane. Bucchignani Ranch was added to Ridge’s portfolio in 1999. The vineyard is located in the northwestern edge of Alexander Valley. The majority of the Carignane vines in this vineyard were planted in the 1940s, with oldest dating back to 1927 and the youngest to 1952. We started with the 2006 Ridge Bucchignani Ranch Carignane. In the glass, the wine showed a lighter red with slight browning at the edges. The nose was enticing, with blueberry pie, salt caramel and sweet almond aromas. Quite unexpected, very pretty. On the palate, the wine was light bodied, with firm tannins that were nicely balanced. The wine was showing some contraction, with rather low fruit aromas. However, it felt a bit thinnish to me. It got more impressive when paired with the salty cheese that ridge was providing. I’d say a good to very good wine. Not impressive, but solid. Next up was the 2007 vintage. The pourer informed us that 2007 was a very hot year. The wine presented itself in a darker, ruby red color. The nose was very intense, it was hard to focus on what aromas I got: it was perfumy, one of our friends remarked on butter scotch, although I am not sure I got that. To me, there were meaty aromas going on…whatever that says. So, yeah, definitely interesting nose. On the palate, the wine was medium-bodied, with a surprising amount of acidity and lots of tannins. Very different from the previous vintage. It felt rather balanced, but was a bit all over the place. What I liked most about this wine was the taste after you swallowed. About 20 seconds in, aromas became jammy and fruity. I really enjoyed that finish. For my flavor profile, though, this might have been a bit too strong. I could see it go well with food, though! We then moved on to the 2008 vintage, which was of a lighter ruby red color. In the nose, we got orange peel, cloves, I detected some sweat. Not a bad nose (despite the sweat). The great thing about this wine, though, was its structure. Unlike the other two wines, it was spicy right in the beginning, not the end. There was very good balance in the wine. I detected some chalk in the mid-section that leads over to well developed flavor in the back. Very good, lingering finish that wraps up the wine well. I thought this was very good. The final wine in the vertical was the 2011 Ridge Bucchignani Ranch Carignane. A bit more powerful in color, this wine showed very young aromatics in the nose, with balsamic vinegar, stone fruit and blackberry. Again, a nose that was very nice to linger in for a while. In the mouth, this wine was medium bodied with strong acidity, but the flavors were dominated by its jammy-ness. Later I got vanilla and scone batter. I noted down that this wine was very refreshing. It might have been a bit unbalanced still with the rather strong acidity, but I still thought this was a very good wine. And give it a few years and the acidity will calm down a bit, too. The wines from this line are apparently only sold to members of the Wine Club. The 2011 vintage is being sold at $26, which seems a fair price when compared to other California wines.